Airport Transfers to/from the Clarion Hotel Anaheim Resort ...Click Here! Anaheim - California's Center for FUN! The Disneyland® Park you know and love is just one part of a whole new vacation full of magic. The Clarion Hotel Anaheim is just footsteps away from the original Disneyland® Park, where the magic began, Disney's California Adventure® Park, which celebrates California's fun and adventures - Disney® style. Then eat, drink and be entertained night and day at the Downtown Disney® District. It's truly the most magical destination. The fun doesn't stop there, Knott's Berry Farm, Universal Studios, Hollywood, and the warm California sunshine are just minutes away. The Los Angeles Angels of Anaheim , Crystal Cathedral, Catalina Island, California's best beaches and first class shopping are all centrally located to our full service Clarion Hotel Anaheim Resort. 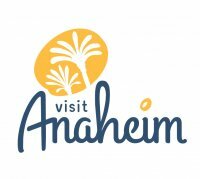 Anaheim first became a meetings and conventions destination in 1967 with the construction of the domed arena which stands on Katella Avenue. Since those early days, the Anaheim Convention Center has gone through 3 major expansion projects plus several minor renovations to update the Center. Each expansion added another major exhibit hall plus meeting space. The recently completed expansion is a complete transformation of the Anaheim Convention Center structure and surrounding campus. The Grove of Anaheim is THE place to come and watch your favorite band or singer LIVE! You can also host your next meeting, wedding, reunion, or other special events. The Grove is also spacious 27,140 sq. ft. and a 2,200 guest capacity. Here are some future events soon to come to The Grove of Anaheim. Come play an even- paced round of golf on a course noted for its flat terrain. Where the future home of Tiger Woods Learning Center and the closest golf course to the Anaheim Convention Center. Come experience a once in a lifetime event(s). You can experience your first concert, circus, hockey game all in one place. Come watch MLB's Los Angeles Angels of Anaheim. Experience the special thrill of live performances. Located in Costa Mesa. Located in Garden Grove, California, the Crystal Cathedral is the home base for the international Crystal Cathedral Ministries.